Feeling jetlagged or fatigued? Is the early wake up time hampering your mood? Well, the solution to combating this is simple: breakfast! Even when you are travelling it is important to remember that breakfast has long been recognized as the most important meal of the day and for good reason! 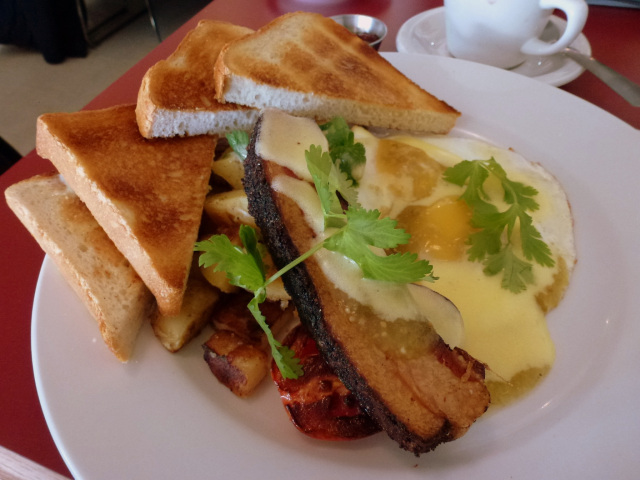 There is no shortage of great breakfast places in Vancouver, but the good news doesn’t stop there, many of them are actually located in close proximity to the Vancouver Lookout. Start your day off with a hearty meal at any of the restaurants recommended below and then come on over to the Lookout to get your 360° view of our beautiful city! Brioche Urban Eatery is conveniently located in the popular Gastown district. Their breakfast menu is loaded with local West Coast ingredients paired with traditional breakfast items such as omelettes, sandwiches, and pastries. This is the perfect place to stop at for a quick but delicious meal to start off your day. Originally opened in Whistler, BC, Purebread is a local bakery that will surely satisfy your sweet tooth! If you’re short on time in the big city, stop by this bakery for a bite! Once you walk into Purebread, you are immediately greeted with a display of freshly-baked breads and pastries, guaranteed to make your mouth water! Why not take your meal to go and head up to the Lookout with your friends and family to enjoy breakfast with a view? After a long week of exploring, waking up early on the weekends can be a little difficult, so why not give brunch a try? With 2 locations in Vancouver, Chewies Steam & Oyster Bar has been operating since 2011, and it doesn’t show signs of stopping! 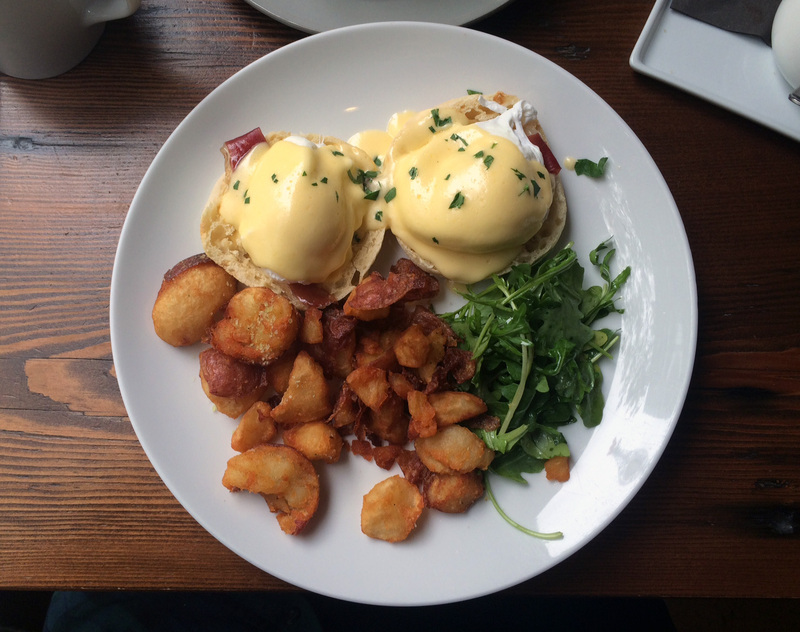 Named after Richard Chew, a local Vancouverite with a passion for the hospitality industry, Chewies serves up the freshest breakfast dishes at their Coal Harbour location. From the ‘Big Chief Breakfast’ to Jambalaya, there is something for everyone at this beloved local restaurant. If you walk along Beatty Street on any given day, you will see a small line forming outside a rustic building. Originally from Victoria, BC, Jam Café is one of Vancouver’s newest hot spots. Their specials are posted daily on their website – there’s always something new and exciting to try! With creative menu items such as ‘The Gravy Coupe’ to ‘The Harrison Fernando’, there is never a dull moment at Jam Café! We recommend going early in the morning before the brunch rush as they don’t take reservations. Nelson and the Seagull is known for its simple yet nutritious breakfast menu. From everyone’s favourite go-to avocado on toast to the classic poached eggs, there’s bound to be something for everyone. With a focus on local fare, you’ll also fall in love with the freshly made in house bread. Its minimalistic concept and design sets the tone for a relaxed environment, perfect for chats over coffee or for quiet mornings with a newspaper. Vancouver offers people a wide selection of unique coffee shops and cafes. Many of these places began in Vancouver and offer coffee and pastries found nowhere else. While visiting this city, be sure you stop at one of these state-of-the-art cafes and experience our coffee from all over the world and our endless list of savory and sweet treats! The Revolver: This café, located in the heart of Vancouver’s historical Gastown, is a must see. It gets its name from the fact that their menu constantly rotates coffee from all around the world. The Revolver offers customers a unique cup of freshly made coffee with every order, and their wide variety of espresso beans is sure to make your latte like no other. With endless options of coffee flavours and a rotating menu this café offers visitors or residents of Vancouver an experience like no other. Trees Organic Coffee & Roasting House: In Gastown this café partners with a fair trade program which produces 100% organic coffee from single origin organic beans from countries like Mexico, Columbia, and Guatemala. If you’re looking for a sweet treat, Trees is well known for their decadent cheesecake, with a monthly feature, as well several other original flavours like mocha cheesecake or white chocolate raspberry cheesecake. While passing through Vancouver’s oldest neighbourhood make sure you stop by and pick up a cup of organic fair trade coffee. East Van Roasters: This cafe is located inside a beautiful historical building called the “Rainer Hotel.” Since this café roasts all their coffee beans in-house for their hand made chocolate and coffee, you are sure to get fresh product every time you visit. East Van Roasters serves their specialty made-in-house chocolates as well as 100% organic coffee coming only from a fair trade program. With this café making everything in house, from their chocolate to their pastries, this place is certainly like no other café or chocolate shop around. Timbertrain Coffee: This café is committed to picking select beans from around the world in order to ensure that the best quality is served to their guests. This cafe roasts their beans locally here in Vancouver and oversees the entire coffee bean production process. This café has two locations; one is seated in the heart of Gastown with long windows providing a natural lit atmosphere and the other situated in Grandview Woods, which is a perfect place to watch the coffee making process. Timbertrain has a wide selection of high quality coffee beans from all over the world, and presents many ways to brew you the perfect cup! Railtown Cafe: This cafe has four locations around Vancouver, the main one situated on the historical east end of Railway Street. All their food is prepared fresh everyday by their talented staff offering a wide variety of delicious meals and drinks to choose from. Railtown contains locally roasted coffee and offers guests an assortment of specialty drinks from their espresso bar. This café also offers an endless list of salads, soups, sandwiches and baked goods paired with their high quality coffee, refreshing drinks, and craft beer. Doubling as an award winning catering service out of their Railtown location, the cafe is sure to leave you satisfied. Did you sleep in? Are you hungry, but it’s too early for lunch? Don’t worry! We’ve got you covered with this helpful list of places to grab brunch. These restaurants are all located in, or very close to, Downtown Vancouver so they’re very easy and convenient to get to. Jam Cafe is an all-day breakfast and lunch joint that has everyone’s mouths watering. 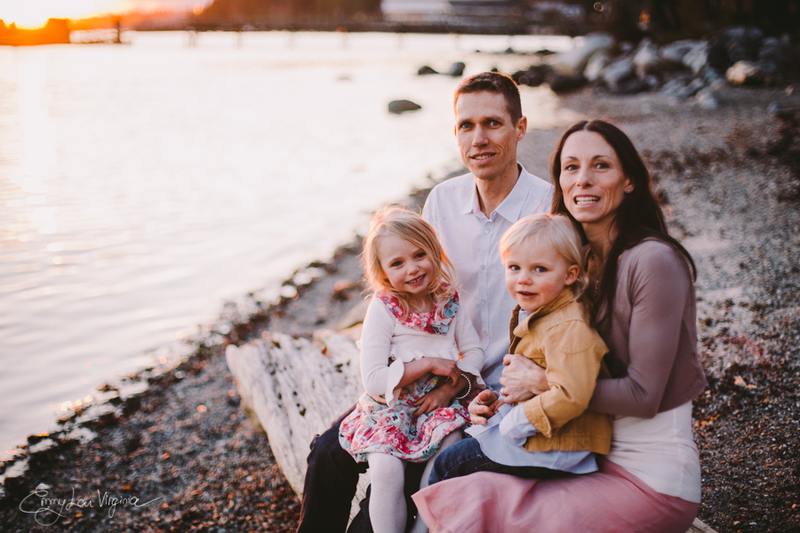 Established in Victoria, their success has brought them over to Vancouver. They are located on Beatty street, about a block away from Stadium-Chinatown Skytrain Station. They have something to satisfy every craving, from sweet treats like Triple Stack Pancakes, Red Velvet Pancakes to savory delights like Green Eggs and Ham and Huevos Rancheros. Served by welcoming staff, Jam Cafe is a great family-owned, rustic cafe. The Red Wagon is a wonderful neighbourhood joint located on the corner of East Hastings and Garden drive. The Red Wagon not only boasts about its magnificent all-day breakfast and lunch menu, it is also proud of its wide selection of wines on tap and local craft beers. Not only that, they also offer jaw dropping pies by The Pie Shoppe. Feel free to drop by and try out their Pulled Pork Pancakes or their Supertrucke; featuring 22 buttermilk pancakes, pulled pork, crisp pork belly, homefries and toast! Hours: Monday-Tuesday: 8:00am to 3:00pm. Wednesday through Friday: 8:00am until midnight. Saturday- Sunday: 9:00am until midnight. Catch 122 offers all their brunch items for $13; served 7 days a week until 4:00pm. Come try out items such as the gastown classic, dirty breakfast and the catch 122! All of these are guaranteed to make your mouth water. Catch 122’s tasty food can be accompanied by any of their brunch cocktails; pretend its 5 o’clock and sip on a mimosa, a bourbon bellini or a espressotini! Yum! Don’t miss out on this great grub+drink combination and go to their location on West Hastings and Abbott street. Hours: Monday: 8:00am to 4:00 pm; Tuesday – Thursday: 8:00am to 10:00pm; Friday: 8:00am to 10:30pm; Saturday: 9:00am to 10:30pm; Sundays: 9:00am to 4:00pm. Also featuring incredible Eggs Benny, comfy couches and a cozy, cute atmosphere. Located in Yaletown, close to Mainland and Helmcken street, it is very easy to get to. Go for the Hangouver Cure which is Fettuccine Alfredo, bacon, a poached egg and a vodka shot. Then stay for the bottomless mimosas. Twisted Fork offers fantastic brunch options for $15.50 each. 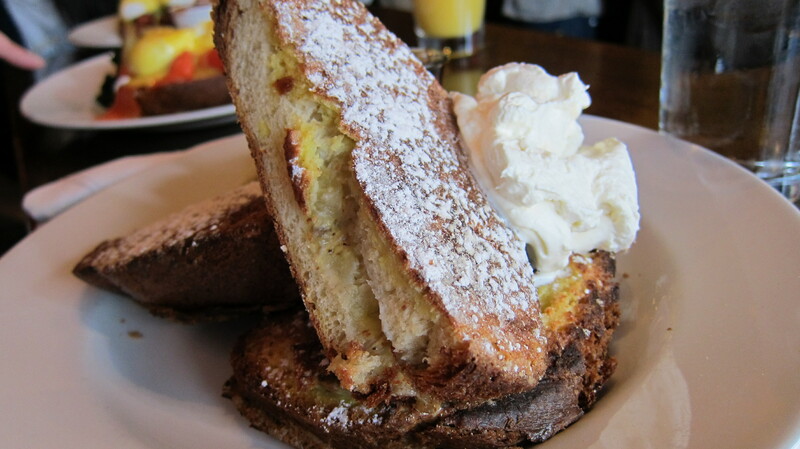 Favourites include the Eggs Benny and the Banana stuffed brioche French Toast. Same as Catch 122, Twisted Fork has a variety of brunch cocktails and mocktails that will complement your food quite well such as the Absinthe Pie and the Grandaddy Mimosa. And since waiting in line for a table in the rain is not pleasant, you can check how long the wait is right here. With autumn just around the corner, do you find yourself wishing that you were in Munich indulging in too much beer and heaps of hearty food? If the answer is yes, then the Harvest Haus Oktoberfest is for you! Returning for its third year, Harvest Haus is bringing an authentic European-style Volksfest right to downtown Vancouver from September 29th to October 9th. As the largest Germanic-inspired cultural festival on the West Coast, this two-week long event is an immersive experience that seeks to share the tradition of the harvest while celebrating camaraderie and good cheer. There are 9 different sittings to choose from, each with distinct themes and special events such as the Lippensynchron Battle on October 8th or the traditional Sunday brunch on October 9th. Being held at the Queen Elizabeth Theatre Plaza, the Harvest Haus Halle can seat up to 1,000 merrymakers for a guaranteed joyous occasion. Easily accessible by Vancouver’s Skytrain, it is just a quick 5 to 10 minute walk from the Stadium-Chinatown station or Granville station. With a full range of European beer, wine, cider, and spirits there will certainly be a perfect fit for all. Food choices from far and wide­­– sample the pork hock rotisserie, sauerkraut, or bratwurst. Then head to the Artisan Bake Shop to pick up a salted pretzel or even an apfelstrudel to satisfy your sweet tooth. After stuffing your belly full, burn those calories on the dance floor or by taking a stroll through the open marketplace and the many stalls it has to offer. This event allows many to experience the thrills of an Oktoberfest without the airfare, but also provides an opportunity for the creation of new friendships and offers a meaningful glimpse into the Bavarian tradition and culture. To secure your spot at the festival visit Harvest Haus to purchase your tickets. The leaves have changed colour, Halloween is just around the corner and the rain has set in; fall has arrived in Vancouver! It’s the season for sweaters, cute scarves and everyone’s favorite seasonal drink: Pumpkin Spice Lattes. If you’re getting tired of Starbucks or you want to try a PSL with a twist, check out any of the below locations for an amazing variation of this fall staple. Conveniently located only 10 minutes away from the University of British Columbia, Grounds for Coffee serves up a cozy Pumpkin Pie Latte. 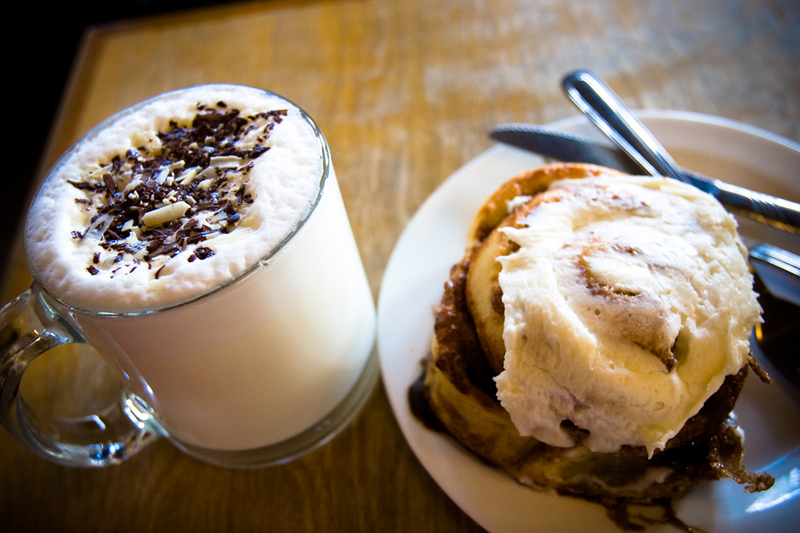 This café also serves up arguably the best cinnamon buns in the city – pair it with your Pumpkin Pie Latte for a match made in fall heaven. 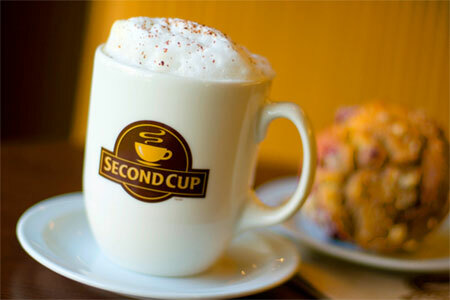 Second Cup’s Pumpkin Spice Lattes are made with real white chocolate, espresso forte and pumpkin pie syrup. They are also garnished with pumpkin pie spice – perfect for those fall Instagram shots. You can find them in the Bentall Centre downtown or on Oak Street, just a block away from the beautiful VanDusen Botanical Gardens. The Buzz Café and Espresso Bar serves up an array of fall themed drinks – including a traditional Pumpkin Spice Latte and a Canadian twist on the classic, a Maple Pumpkin Latte. And if pumpkin is not your thing, try their Ginger Banana Bread Latte, it will surely warm you up and get you in the fall spirit. 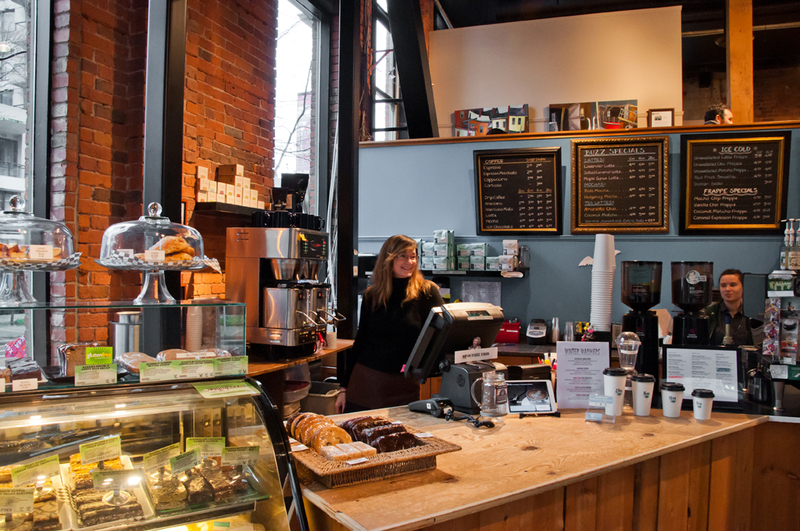 This café is located in central downtown in Vancouver’s oldest retail art gallery, Harrison Galleries. The Canadian answer to Starbucks offer up their own spin on a PSL, a Pumpkin Pie Caramel Macchiato – topped with caramel and graham crackers for that extra seasonal goodness. 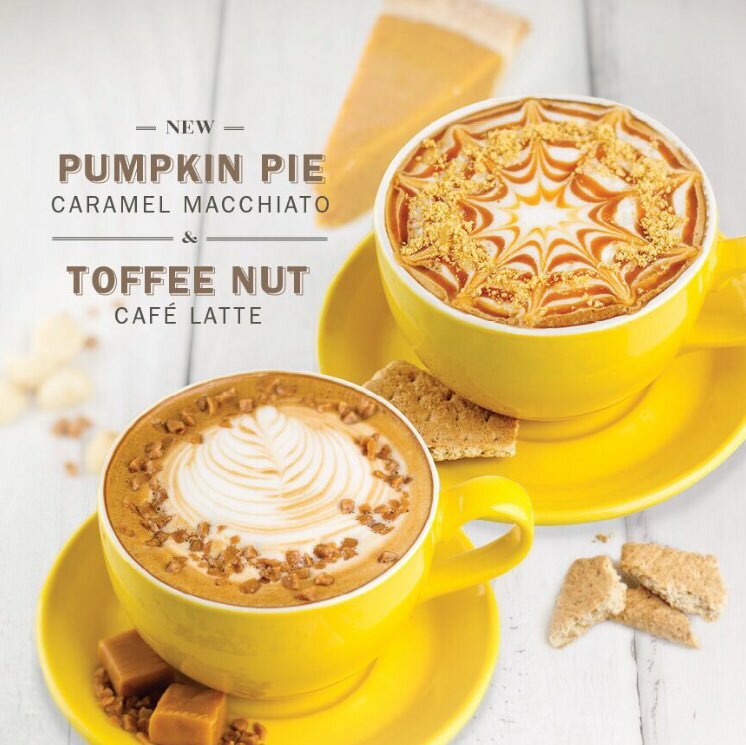 This time of year you can also find the Toffee Nut Latte on their menu if you wish to veer off the pumpkin path. 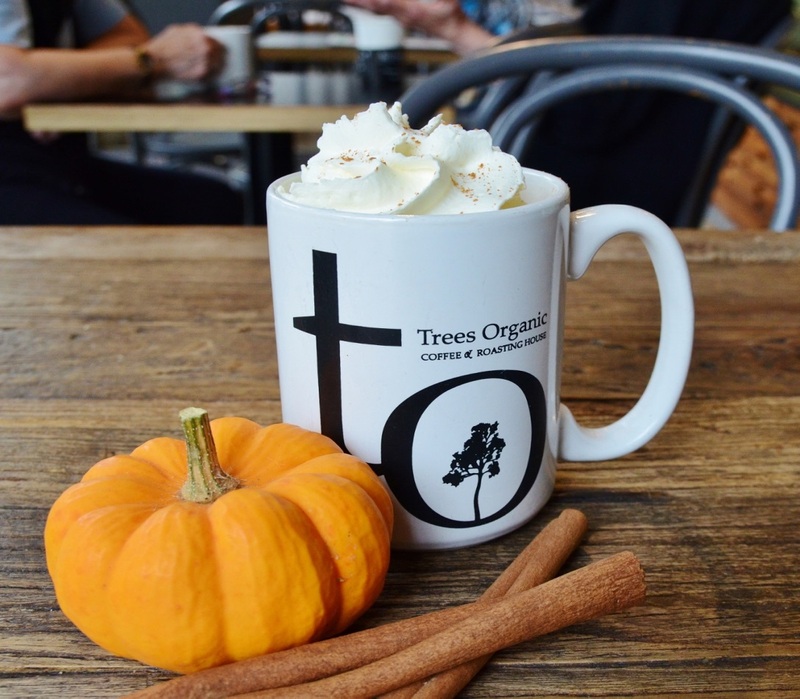 If you want pumpkin, just not in your coffee, head over to Trees Organic Coffee & Roasting House. Trees are known for their amazing cheesecakes, and this fall they’re serving up slices of pumpkin spice cheesecake. Of course, they also serve up PSLs if you want to pair your pumpkin cheesecake with a pumpkin drink. Downtown, you can find them in Gastown, Yaletown, and just two blocks over from the Lookout at Granville and West Hastings. Summer may be coming to a close, but that doesn’t mean you can’t enjoy it while it’s still here. And any excuse for ice cream is always a good one. Good thing Vancouver has some amazing options for delicious ice cream. Here are the Lookout’s top recommended ice cream parlours in the city. 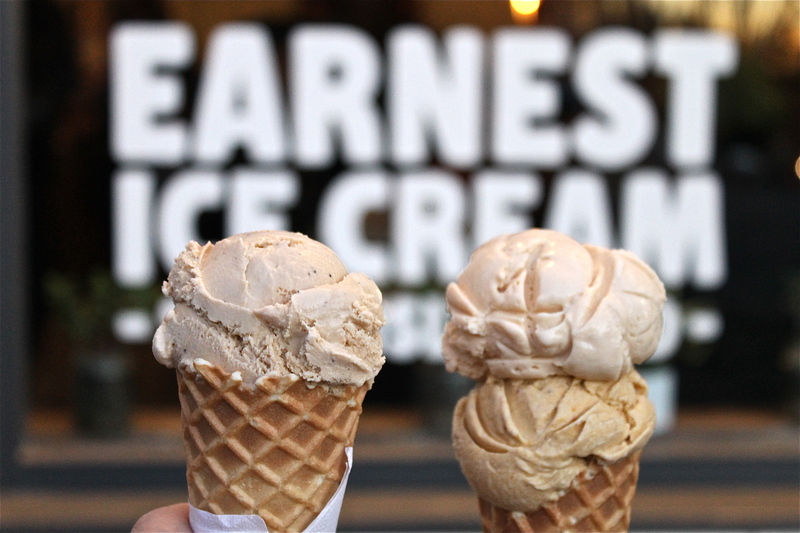 Starting off our list of ice cream shops is Earnest Ice Cream. A Vancouver favourite, Earnest Ice Cream has been serving delicious ice cream for the past four years, earning a reputation for their fun and innovative flavours. 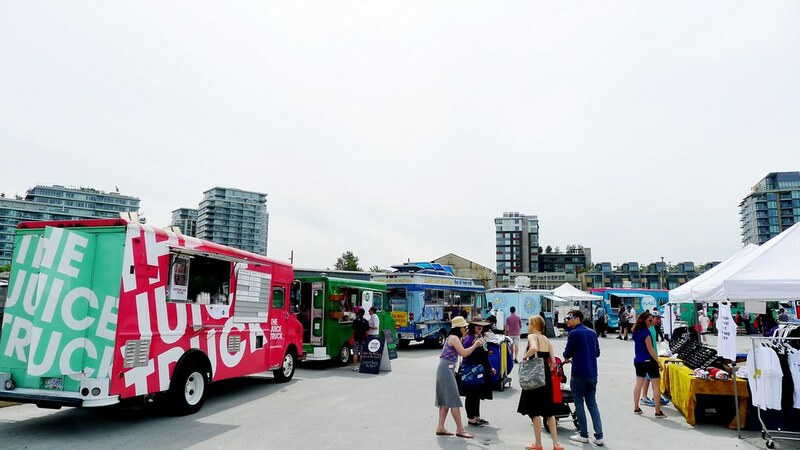 Check out their website to see the flavours they’re scooping that day, or drop by their second location just steps away from Olympic Village. You won’t be disappointed. Rain or Shine is making waves in the Vancouver ice cream scene. With everything made in store, including their fresh daily waffle cones, you’re sure to enjoy what Rain or Shine has to offer. Make sure to visit them on Taco Tuesdays to grab a one of a kind taco sundae! 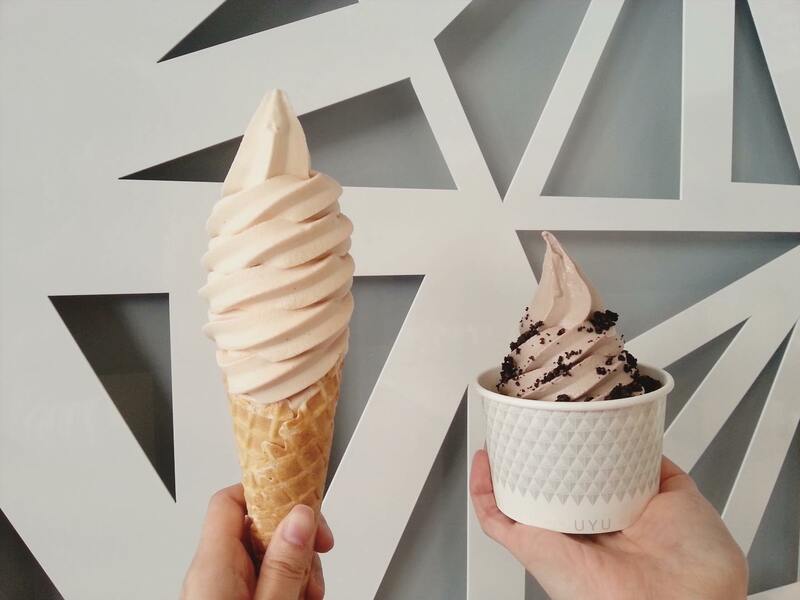 UYU, named after the Korean word for milk, is the place to go for all those soft serve ice cream lovers out there. With soft serve ice cream made with organic milk and fresh ingredients, UYU serves up a delicious treat for any occasion. Don’t forget to add some toppings – from classics like strawberry, to the more unusual, such as black sesame powder. This next ice cream shop is definitely turning heads. This recent addition to the Vancouver ice cream scene is bringing with it a new twist to how ice cream is done. 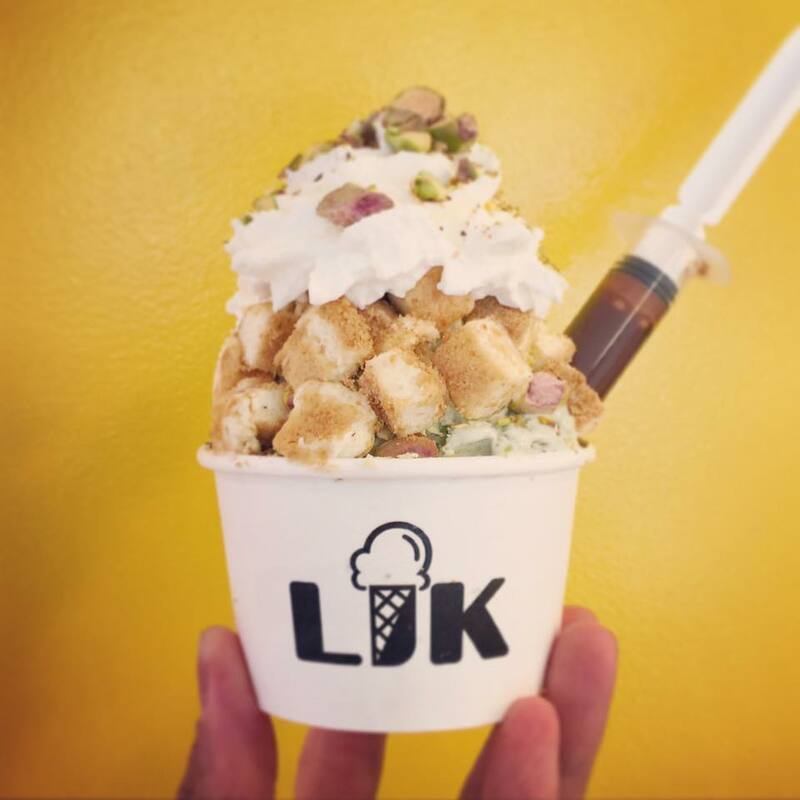 Using freezing cold liquid nitrogen, Lik creates delicious creamy ice cream in seconds. Check out their signature creations, or stick to one of their delicious rotating flavours. If you’re looking for amazing gelato in Vancouver, look no further than Bella Gelateria. This award winning Gelato stop is one of the most popular places in the city for a cold treat. With so many delicious classic flavours to choose from, it’s easy to understand why. You’ll no doubt find yourself coming back for more. Bella Gelateria has 2 convenient locations in Downtown Vancouver for you to satisfy that sweet tooth. Vegan or lactose intolerant? Don’t worry, we’ve got you covered! 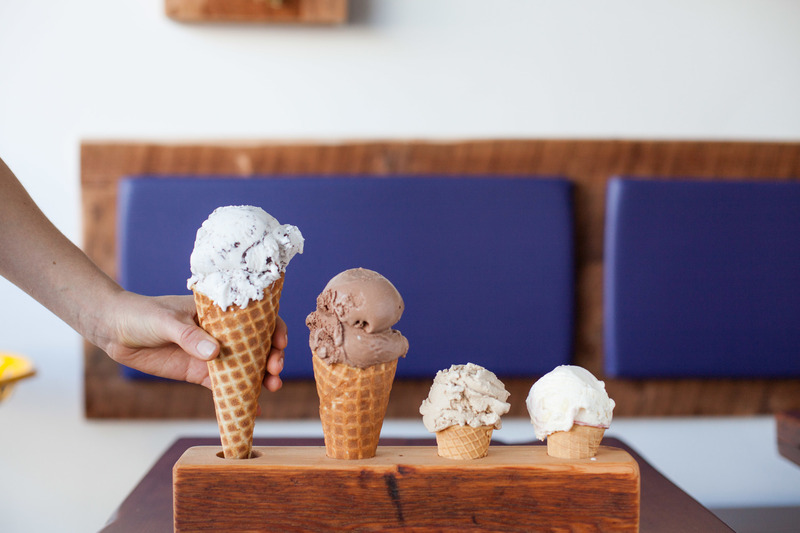 Yaletown’s newest ice-cream parlour is 100% dairy free, yet still delicious. They carry all the classic flavours, as well as many fruity variations sure to sate your appetite. The sun is out and the sunglasses are on, which means that patio season has finally begun in Downtown Vancouver! What is patio season, you might ask? When the weather is cooperative with the sunshine, restaurants open up their outdoor seating. From there, you can enjoy the hustle and bustle of the city while having a meal with your friends and family. This is a great time for locals, as well as visitors, to enjoy the company of great food mixed with a brilliant outdoor atmosphere. From Gastown to False Creek, we have a list of the best patio-friendly restaurants that will have you feeling ready for the summer time! 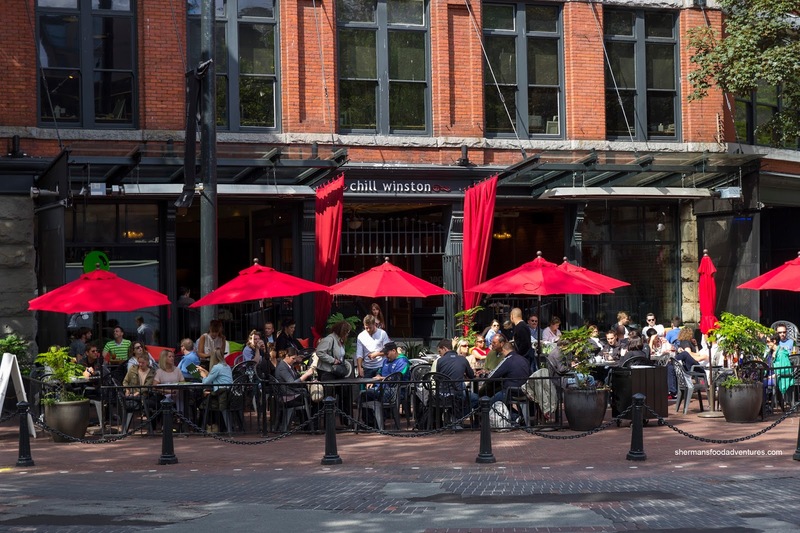 The Chill Winston is sited at the end of Gastown, one of Downtown Vancouver’s oldest areas. Sticking to old-school traditions, they use local, wild, free-run, and organic ingredients in all their dishes. They boast a great selection of platters that are perfect for groups to share in the warm, sunny weather. The patio is located by Maple Tree Square, and it gives you the perfect view of the eventful city streets. Situated to the left of the Olympic cauldron in Jack Poole Plaza is the Canadian casual-dining restaurant, Cactus Club Café. Since its first restaurant opening in North Vancouver, the restaurant chain has expanded all throughout Canada. Known for their wide selection of western-style dishes and laidback setting with friendly service, Cactus Club Café is definitely a top selection for a night out! 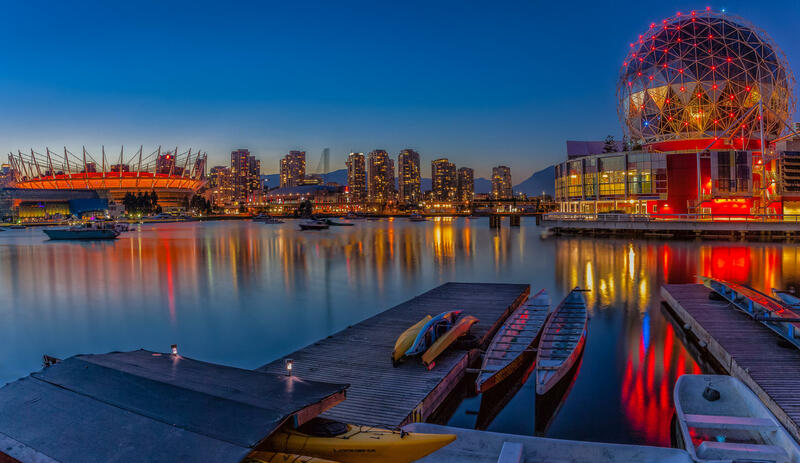 Their Coal Harbour location provides a great view of the Vancouver Convention Centre, the Olympic cauldron, and several other outdoor art installations in the area. If you look further into the distance, you will also see the North Shore Mountains and the Burrard Inlet. Who can think of a better place to have a meal by the water than at Cardero’s? Their patio is located by the marina of Coal Harbour, so fresh seafood is guaranteed! Since oyster season is starting to pick up, why not head on down to share a few with some friends and family? There are always specials on seafood along with the many wines that they offer. The patio views include beautiful mountains and seaside activity – you might even spot some Canadian wildlife (Click here to view our blog post about spotting some wildlife in Vancouver!). Cardero’s also offers live music every night, so it’s never a dull moment! Located on Alberni Street, Black & Blue Steakhouse is one of the nine brands under Glowbal Restaurant Group. With a unique menu for both their patio and dining areas, Black & Blue Steakhouse carries everything from steaks to seafood. Their rooftop patio is perfect for small groups of people looking to relax after a long day at work. They have a large collection of different wines from around the Lower Mainland, as well as from around the world. This way, you can pair your favourite wine with your meal. Not only that, but they also have Canada’s first Josper Grill, a combination of an oven and grill that allows for the best way to bring out the flavours and textures in all types of food. If you walk along Robson Street downtown, you will eventually find Joe Fortes Seafood & Chophouse, a restaurant named after the prominent Vancouverite, Joe Fortes. Their patio, similar to Black & Blue Steakhouse, is located on the roof. This way, you can escape the busy city streets and enjoy a birds-eye view from above. The patio has everything, from a horseshoe bar to a cozy fireplace, which makes it the picture-perfect setting for catching up with friends or intimate dinners. If you’re on the hunt for great views of the beach and sunset, then the Cactus Club Café located on English Bay is perfect for you! As the only restaurant located on English Bay, you are guaranteed the best views of the area. Although reservations are not required, we suggest making one to get the best seat in the restaurant. Where else would you find your meal stacked on top of a Caesar/Bloody Mary? 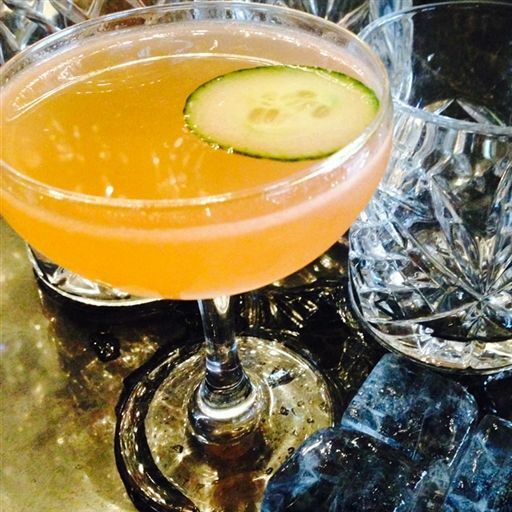 Located in the heart of Davie Street, Score puts an interesting twist on traditional drinks and dishes. Their welcoming staff is always great with making conversation to make you feel right at home. If you’re also looking to make a few friends while you’re in town, Score is also a very popular place for locals as their bar always has the latest sports game showing! Start your night off by the patio and then make your way into the bar at night to experience the night life of Score! If you’re looking for a cozy secluded patio setting, then Minami located in Yaletown is the perfect place to check out. A sister restaurant of Miku Waterfront, Minami offers traditional Aburi sushi that go well with flights of Japanese Sake. Unlike Miku Waterfront, Minami also touches on a fusion of Japanese cuisine with Western classics such as steaks, seafood dishes, and poultry. 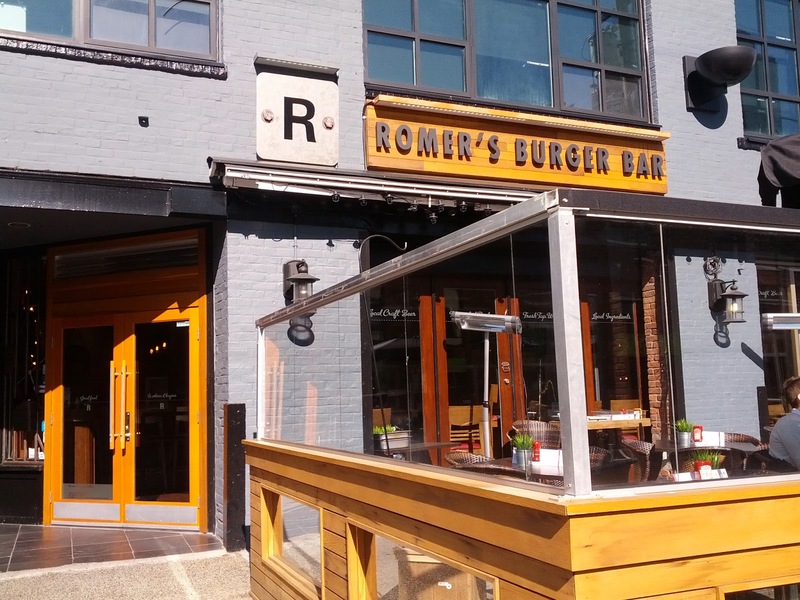 Romer’s Burger Bar is one of the best places for burgers in town. 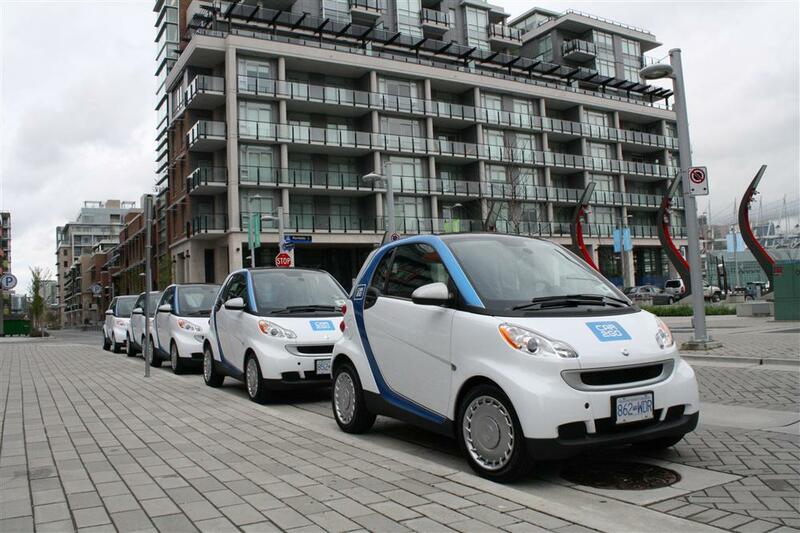 Currently, they have three locations all throughout the Greater Vancouver area – Kitsilano, River District, and Yaletown. Their menu is full of different kinds of dishes, but it’s their burgers that have stolen the hearts of visitors. From the “Wicked Deadly Cheeseburger” to the “Man’s Man Burger,” there is sure to be a burger to suit your tastes. Don’t forget to also pair your burger with fresh cut fries, which are available in six styles. With three locations in Downtown Vancouver, Tap & Barrel continue to be one of the leading restaurants that boast the best views as well as craft beer selection. Their False Creek location provides a different perspective of the Downtown core. From their two-floor patio, you will be able to spot BC Place, Telus World of Science, Cambie bridge, and the docks for dragon boats. Tap & Barrel has an impeccable selection of shareables. Living up to our city’s goals to be greener, this restaurant chain utilizes local ingredients as well as implementing a custom tapping system for their wine in order to reduce their carbon footprint, and providing guests with the freshest food options. Patio season is a great opportunity for friends and family to spend some time together while sharing some good food. We hope you enjoyed this list that we’ve compiled! If you’re interested in more restaurants to check out around Downtown Vancouver, check out our posts on the best desserts in town or restaurants five minutes away from the Vancouver Lookout! Valentine’s Day is fast approaching us in Vancouver, and Cupid is no doubt getting ready for this holiday by polishing his trusty bow and arrow. With all the cotton-candy pink, bright red, and heart shaped boxes of chocolate, doesn’t it induce a craving inside of you that can only be satisfied by copious amounts of sugary sweets and rich, sweet desserts? 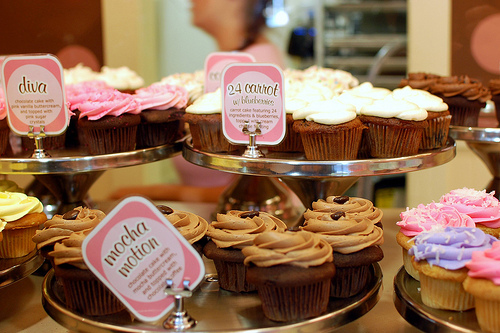 Lucky for you, we’ve compiled a list of the top 12 places here in Vancouver to indulge that sweet tooth. Whether you’re spending the day with a loved one, or just finding an excuse to delight in a dessert (after all, you deserve a treat! ), then look no further. 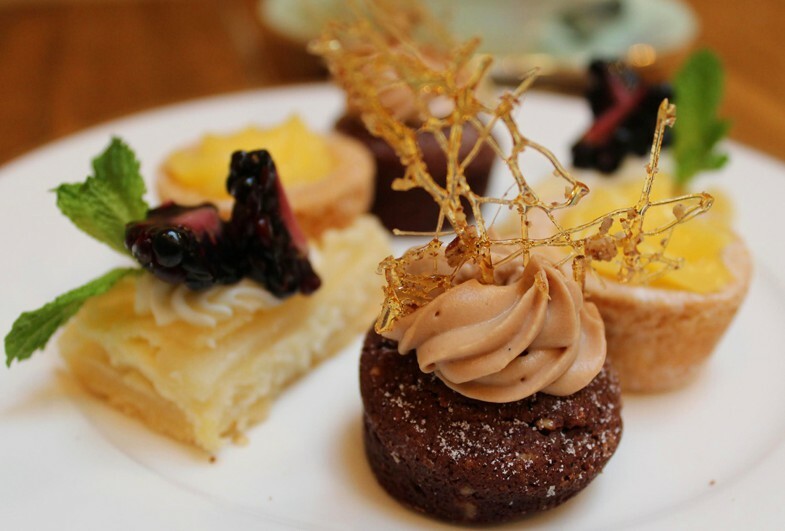 A classic high-tea experience is what you’ll find at this quaint establishment, with shiny china tea cups and cloth napkins to charm you out of your fancy socks. For high-tea, you will receive a three tier tray of beautiful goodies, loaded with scones, sweets, tiny sandwiches, and of course, tea. From tangy tarts to beautiful pastries and everything in-between, this delightfully elegant experience is perfect for a leisurely afternoon. Gluten-free and vegetarian options are also available, as well as take-home orders made in advance. Don’t forget to wear your pearls! Must Try: Dark chocolate pecan cake with milk chocolate chantilly. It looks decadent and almost too pretty to eat, but it’s worth every bite. With seasonal treats such as candied chestnut lattes and chai apple cider, this cafe has easily built itself a sweet reputation (pun intended). Pick up a small batch of chocolates here, with prices running for individual pieces ($1.95) to a large box ($33.95), and everything in between! They use ingredients such as Tahitian vanilla, Quebec maple syrup, and the finest chocolate to craft these treats for you. If chocolate isn’t your thing, then take a nibble at one of their colorful macarons. Must Try: The chocolate chip brown sugar macaron is a must, as is the cassis flavored one (a sweet, red liquer flavor with blackcurrants). Both pack a pleasant punch in terms of flavor. A classic go-to for the city’s best waffles! You can choose between 2 types of waffles to start off with: brussels waffles (light and crispy waffles), or liege waffles (sweet and fluffy). After that, you have a hard decision to make. You can choose between 9 different flavors, with classic ones such as fresh strawberries and fluffy whipped cream, or branch out and try more decadent ones such as their orange mousse flavor (fresh orange pieces and dark belgian chocolate mousse. 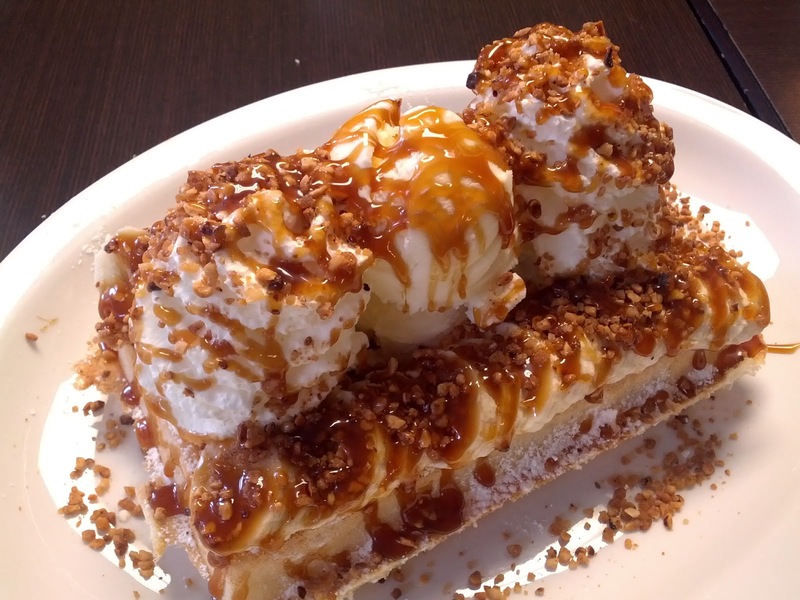 Must Try: Their Bresilienne waffle (a Liege waffle with creamy vanilla ice cream, whipped cream peaks, hazelnut crumble, and a dash of caramel sauce) is to die for! It looks as good as it tastes! 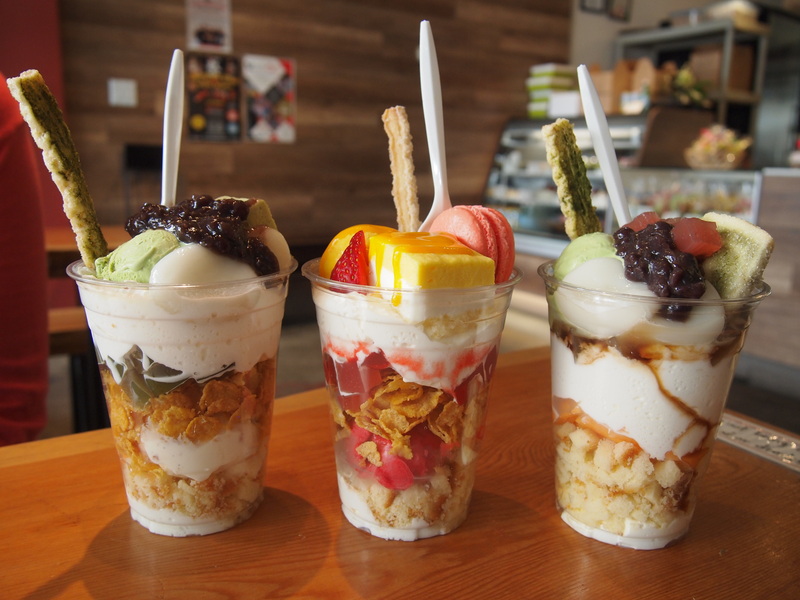 In the mood for a mouthwatering Japanese ice cream parfait? Not yet? Don’t worry, once you step foot into this quirky little cafe full of little cakes and parfaits, you’ll be dreaming about the next time you’re able to drop by again. With a colorful assortment of Japanese desserts to choose from, you’ll never be out of options. The towering ice cream parfaits were made for sharing with a loved one! Must Try: Their popular green tea parfait is refreshingly light and sweet. Make sure to pick up a Japanese baked sweet from their counter before you leave to take home! A beloved favourite in Vancouver since its launch in 2012, this popular and often talked about ice cream parlour features seasonal flavors that rotate throughout the year, perfected in small batches. 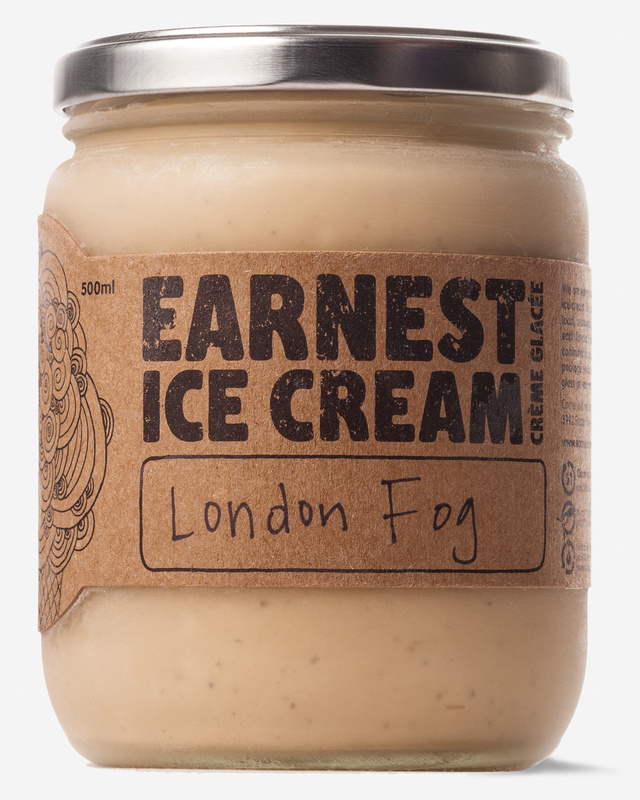 An interesting fact about Earnest Ice Cream is that it is the first of its kind to pack pints of their delicious ice cream in glass jars that can be returned and reused. You can enjoy an ice cream cone at the store, and then take home a pint (or two!) of your favourite flavor once you’re finished. They also have delicious vegan options for those who go dairy-free! Must Try: The London Fog flavor is one of their most well-known flavors, made with light Earl Grey tea and sweet vanilla. Often recommended! Another favourite is their Peanut Butter and Jam flavor, which features house-made berry jam with light peanut butter, which is the perfect sweet and salty combination for those who like to have it all. Known as one of the top ten chocolatiers in North America, Beta5 has definitely lived up to its status in terms of their treats. Their products are visually pleasing as well as tummy pleasing. 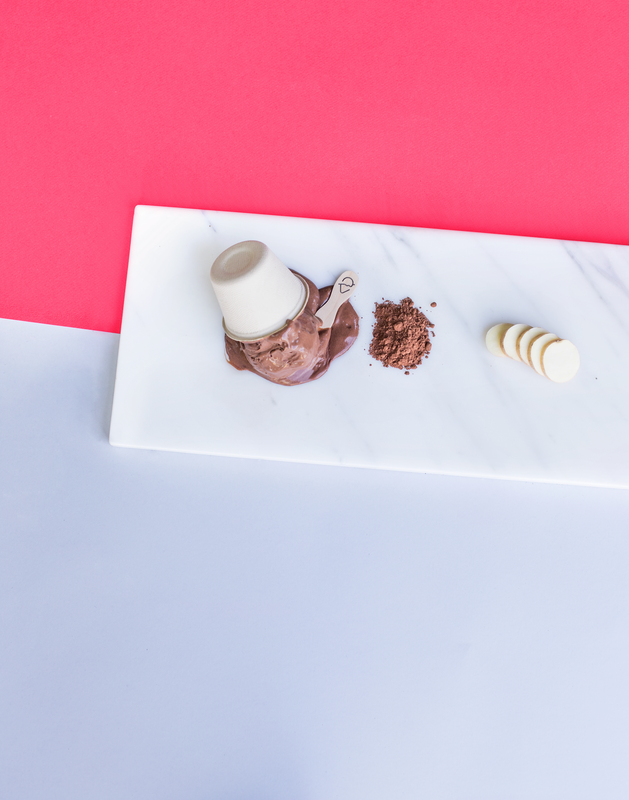 They fuse together art with chocolate, and their creations speak for themselves. From their unique cream puffs to their richly decorated chocolates, this is one place you can’t pass by if you’re a chocoholic. Beta5 has collaborated with local artists to create fixed gift boxes in which you can purchase dozens of their chocolates to give to your special Valentine. Must Try: The Vietnamese Coffee cream puff is as unique as it sounds! A unique blend of coffee, blonde chocolate cremeux, and condensed milk chantilly, this white and purple treat is worth biting into. Of course, their signature chocolates bo12 unique pieces) are worth mentioning as well, with flavors such as The Whole Cherry, Caramelized Banana, and Jasmine Tea. 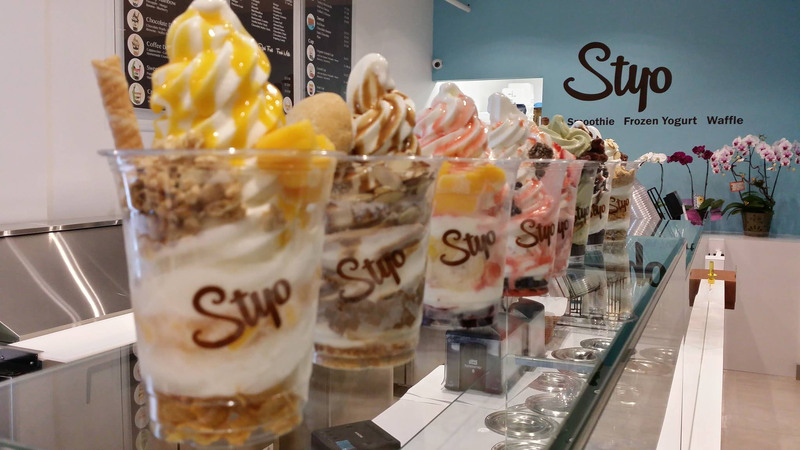 The name Styo means “frozen yogurt in style”, and with this dessert place, you’d be hard pressed to find a treat that doesn’t suit your style and taste. Their towering swirls of frozen yogurt are decorated with sweet syrups and topped off with a crunchy cookie straw. Their frozen yogurt boasts colorful swirls of the creamy treat and have unique toppings that make the frozen treat one of a kind. Must Try: The Strawberry Kiss parfait boasts tart frozen yogurt, fresh strawberries, popping candy, and marshmallows, turning it into one luscious treat. If you’re more adventurous with your desserts, try their Green Tea Harmony parfait, which consists of green tea frozen yogurt, sweet red beans, crunchy cereal, jiggly coffee jelly, and a pillowy cream puff. Creme brulee and lattes, oh my! CrackleCreme specializes in this popular custard and caramel treat, with liquor based ones as well as vegan options! It’s a unique twist on this classic treat, with extraordinary flavors such as bourbon butterscotch, dulce de leche, and even frosted flakes cereal. If you’re looking for a familiar dessert, but with amped up flavors, then Cracklecreme is your perfect after-dinner stop! If you’d prefer to have your dessert at home, Cracklecreme also offers their creme brulee in take-home mason jars, so you can enjoy their treats on your very own couch. 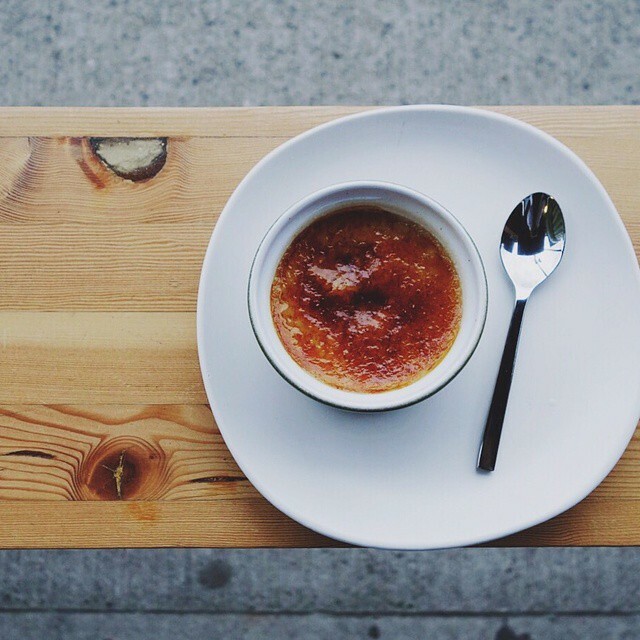 Must Try: Their creamy vanilla latte pairs perfectly with their vegan pina colada creme brulee. A hint of sweetness and tangy tartness from the pineapple makes these two a match made in confection heaven! 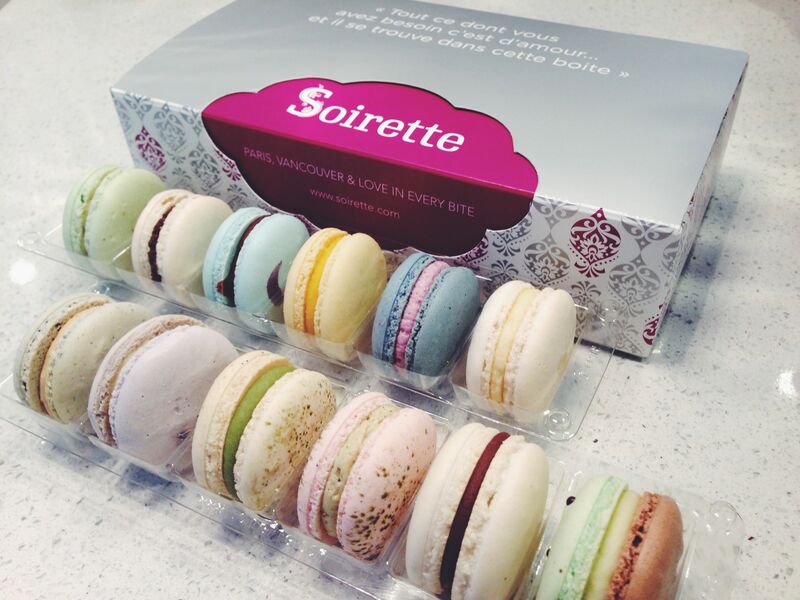 The first thing you notice when you step foot inside Soirette Macarons & Tea is their bright display of colorful meringue-based macarons. 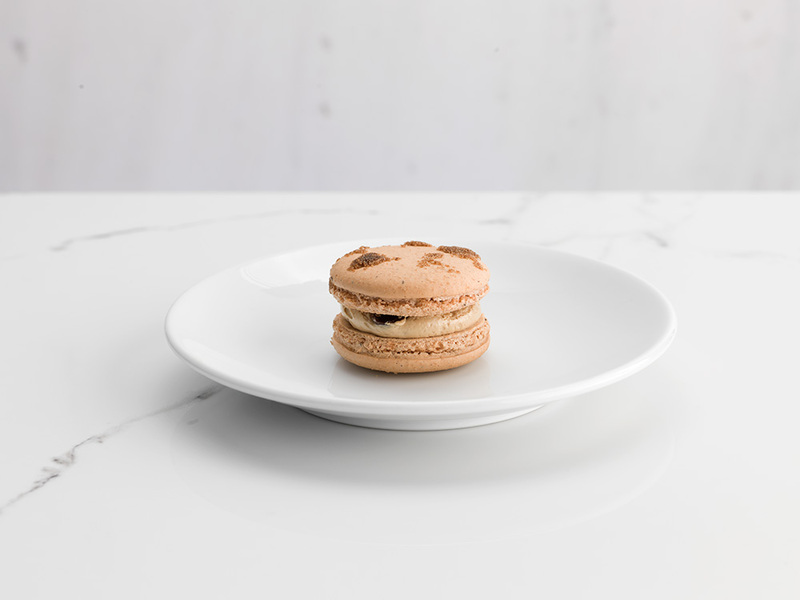 They promise that their macarons are “wonderful little bites of airiness and flavor”, just as they should be! Their bright, delicate flavors and crunchy shells make them a delight to share with a loved one. Get a box of them in a beautifully decorated white and powder blue box, and attempt to guess each of its wonderful flavors as you devour each one. Don’t forget to sit back and relax with a cup of their herbal tea while you nibble each vibrant treat. Must Try: Their seasonal flavors are interesting and intriguing at the same time. For a sweet tooth, you must try the Blackberry and Pear macaron (a lovely raspberry colored macaron with splashes of yellow across the top), which is refreshing and tangy at the same time. Another must-try is their Santa’s Milk & Cookies flavor (a white macaron with little chocolate “chips” on top), which is every bit as indulgent and rich as the name suggests. The doughy confections you get from this charming little shop are simple, but worth every bite. The store opened in June 2012, after years of perfecting their simply-made, delightful dessert rings. 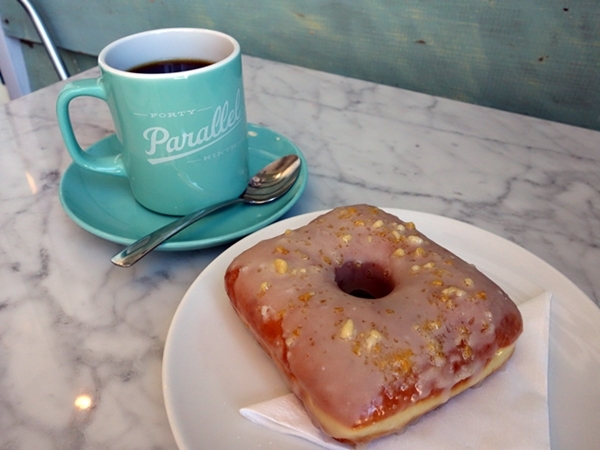 Often noted as one of the best doughnut places around Vancouver, Lucky’s Doughnuts at 49th Parallel offers a wide range of flavors that change frequently, so you can experience as many new flavors as possible! Their doughy works of art are nothing to be sneezed at, with each one looking more extraordinary and delicious than the next. A must-try for any doughnut lover! Must Try: The PB&J Remix is the most unique of the bunch! A square doughnut (yes, a square doughnut) filled with creamy peanut butter in all four corners, topped off with a tantalizing blueberry glaze, and sprinkled with crunchy, crushed peanuts! The doughnut itself is worthy of a picture or two. If you’ve got an Elvis lover in you, you’ll go nuts for the Memphis Flash doughnut, a stick doughnut named after Elvis’ favourite snack (supposedly). A peanut butter pastry cream filled stick doughnut topped with Nutella and pieces of caramelized banana. You “can’t help falling in love” with this one! Everyone needs to experience the joy of dipping cakes, pretzels, fruit, and cheese into mouthwatering melted chocolate over a burning candle at least once in their lives, and what better time than Valentine’s Day to give it a spin? You can choose your own personal-sized cheese pot or chocolate pot (56% dark chocolate or milk chocolate) to dip your fruit and cakes into. The chocolate fondue set comes with cubed fruits, tea cookies, and an assortment of pastry items. The cheese fondue comes with seasonal fruits as well, veggies and baked potatoes, and artisan French bread and assorted pastries. Must Try: The fondue experience is not one to be missed! Although by itself, the cheese and chocolate fondue pots are mouthwateringly delicious, you have the option of getting a chocolate fondue add-on, which happens to be mini ice cream truffles! You can order 6 or 12 ice cream truffles with toppings to dip into the chocolate, which will harden over the ice cream into a perfect treat. With cupcakes this amazing, you’ll want your loved one to take a bite as well! This cupcake store looks good enough to eat! A pastel hued, retro-styled Vancouver cupcake shop that churns out custom cakes, wedding cakes, and of course, cupcakes; this sweet stop is sure to satisfy your cravings for this delightful dessert. Their enormous cupcakes are crafted with real buttercream that melts in your mouth, the softest and fluffiest cake base, and the most picture worthy toppings as far as confections go. Bite into one of the best cupcakes Vancouver has to offer and I guarantee your sweet tooth will thank you! Must Try: The tiramisu cupcake is made of vanilla coffee marble cake with cocoa powder dusted on top of their cream cheese peaks. It’s like a vanilla latte in a cupcake, full of intense flavor and creamy richness. Just one bite, and you’ll fall in love. Now that we’ve got the dessert part of Valentine’s Day figured out for you, all you have to do make the hard decision of picking your favourite!